Who's your least favoriete character? Do u think that there should be a modern dag version of persuasion? Book of Movie?Which one do u prefer? This adaptation of Jane Austen’s 1818 novel turned out to be the first of the old Jane Austen televisie adaptations that the BBC aired during the 1970s and 80s. Produced and directed door Howard Baker, and adapted door Julian Mitchell; this two-part miniseries starred Ann Firbanks and Bryan Marshall. Twenty-four years after the BBC aired its 1971 version of Jane Austen’s 1818 novel, ”Persuasion”; and twelve years before ITV aired its adaptation; Columbia Pictures released its own version on British televisie and in movie theaters across the U.S. 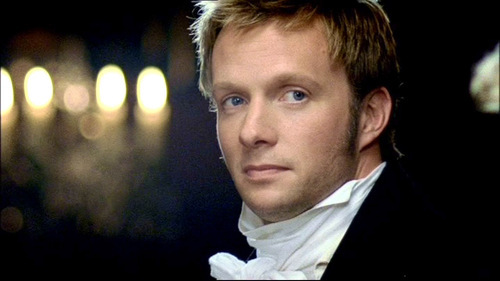 The movie went on to become highly acclaimed, the winner of a BAFTA TV award for Best Single Drama, and regarded as the definitive version of Austen’s novel. a comment was made to the poll: Who do u identify with? What is the first name of Captain Wentworth? What do u think about the book?